Our library is currently closed as they replace the carpet, so these books have gotten read even more than they might have! Here are the few that have stood up to many re-readings over the past couple of weeks. 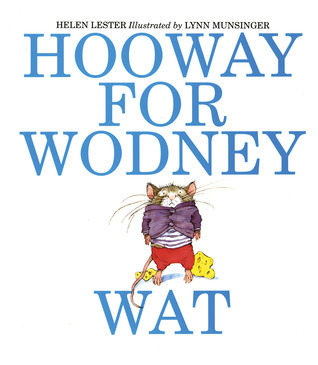 Rodney Rat has a big problem: he can't pronounce his r's. The other rodents at school tease and make fun of him, until the day comes that he becomes a hero! I had forgotten about this little gem of a book. It's such a great story! Downtrodden Wodney saves the day and gains a little confidence. My kids really got the giggles at the Simon Says game. The illustrations are classic Munsinger, too: expressive and energetic. Pretty much anything you can find from this duo is worth reading! 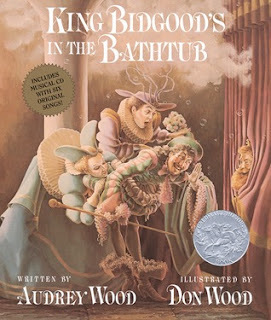 King Bidgood is determined to spend all day in the tub, foiling repeated attempts to get him out! Finally, the hard-working page boy succeeds where all else have failed. You just have to put out of your mind the actual weirdness of it--everybody climbing into the tub with the king in his birthday suit. If you can do that, it's all good fun. Lester is a list maker and a hair comber. When Cousin Clara (possibly not related) moves in with the family, he becomes something else--ugly sweater recipient. You see, Cousin Clara is a curiously speedy knitter. She also has curious taste. These aren't just ugly sweaters. They're awful! Misshapen, dreadful colors, and little extras added on in odd places. Unfortunately, his parents make certain he graciously accepts each gift and wears it to school. 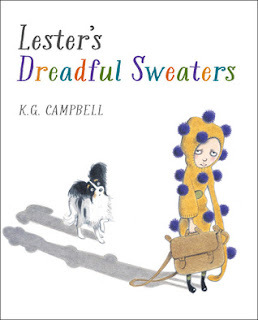 Is poor Lester doomed to a life of dreadful sweaters? This is such a funny, offbeat little story! 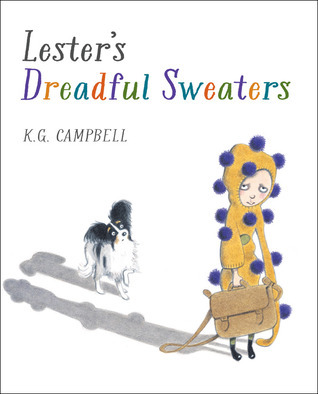 The illustrations show the battle of yarn between Lester and Cousin Clara perfectly. Somehow each sweater mysteriously meets its end--rather quickly, in fact. Not to worry! Cousin Clara just keeps on knitting away. Satisfying resolution, too. My favorite parts were the descriptions of the sweaters themselves, like: "Then there was the terribly turquoise one with several unexpected sleeves." Made me grin! Whirl. Swirl. Watch it curl by. Steam is steam unless..."
Gorgeous illustrations to go along with a deceptively simple, rhyming text. You'll hardly even realize all you're learning! 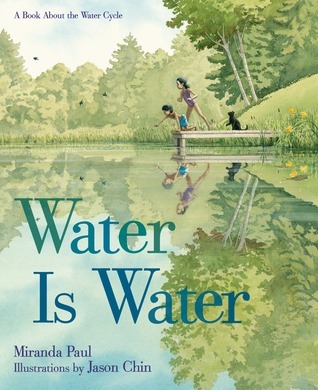 Each page turn reveals a new stage of the water cycle. A section at the end gives more in-depth explanations and terms, but even that is very accessible for younger listeners. One paragraph per page of the book is all, each with a mini illustration. I used this with my preschool-aged Joy School kids a couple of weeks ago, and they really liked it. Wow. I just cannot get enough of those illustrations! Highly recommended. What have you come across at the library lately? Anything I should look for when it opens back up next week?